When you enter the offices of Electrosonic SA you will experience a buzz of excitement in the air. September is anticipated with an electrifying energy, and although warmer weather would be welcome, it has nothing to do with spring. This September is Electrosonic SA’s 25th anniversary, and we have already started celebrating! 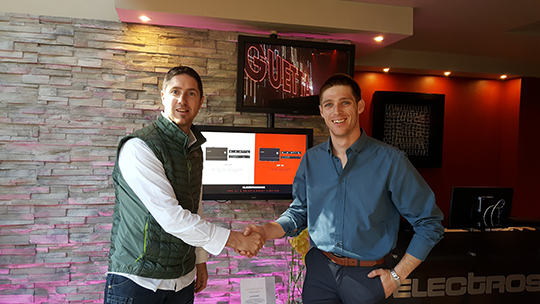 Electrosonic would like to welcome Christopher Kilian to the Lighting/AV Team. 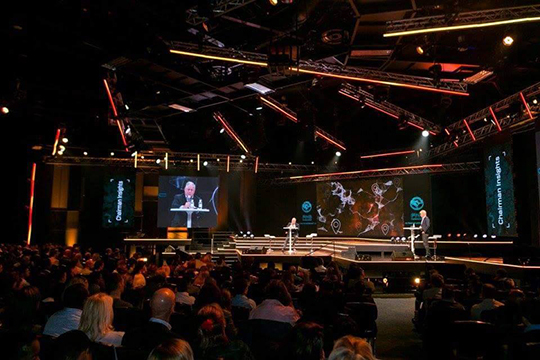 Seeing the need for dedicated AV Support and Sales in the Live Event segment, and with the ever growing crossover between lighting and AV disciplines the time was right. Electrosonic has responded to this need and have employed a dedicated person to provide products and support to the industry. LED LED LED. It’s everywhere in our lives, even more so in the Entertainment industry. Live events are full of it, the light fixtures the Video Screens and even the control desks have tons of little LEDs. But each one of these little miracles need to be controlled and when you start approaching hundreds of thousands of them you can only imagine what’s going on behind the scenes. 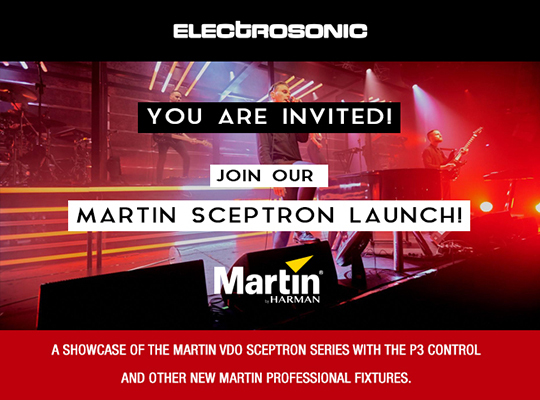 Sceptron Series Launch and new Martin Fixtures! Join us for a showcase of Martin VDO SCEPTRON Series with the P3 Control, and other new Martin Professional Fixtures! We are launching the SPECTRON in South Africa on 20 June 2016 from 2pm to 6pm. Special Guest: Wouter Verlinden, Product Manager - LED VIDEO, from Martin Professional.